A jewelled floral fantasy, this beautiful hair comb captures bygone charm and elegance. 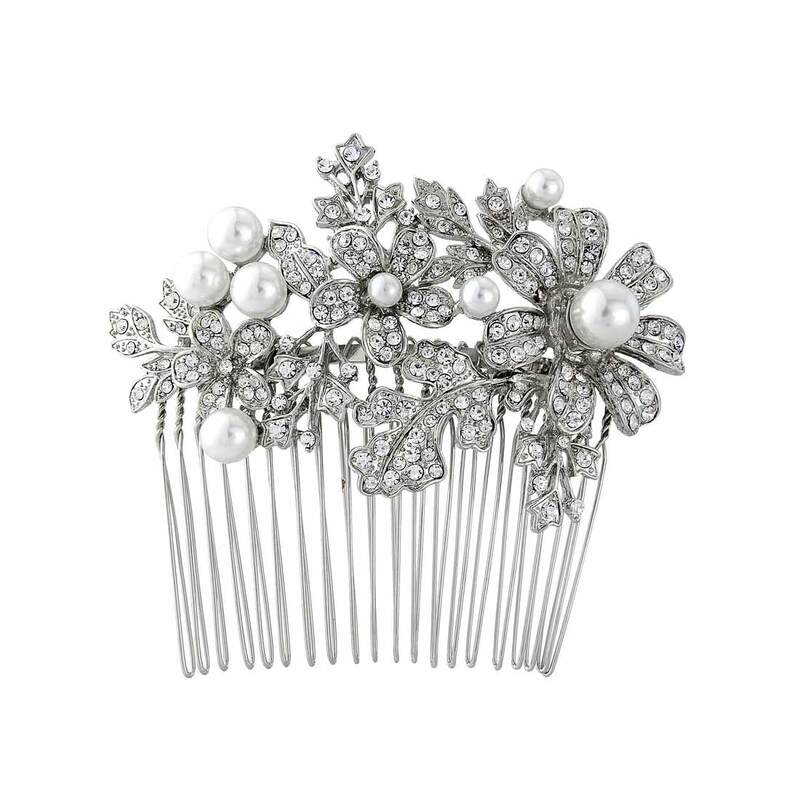 Oozing vintage charm, our Pearl Fleur Hair Comb is full of captivating sparkle. Featuring a beautiful bouquet of glittering clear Austrian crystal flowers enhanced with ivory faux pearl centres and delicate crystal encrusted leaves, this wonderful silver tone hair comb captures the timeless glamour of the late 1940s to early 1950s Hollywood with effortless class. Perfect to adorn a chic French pleat, enhance a feminine side chignon or bejewel a half-up do, Pearl Fleur Hair Comb will look divine on those special occasions when you require a touch of vintage sparkle. 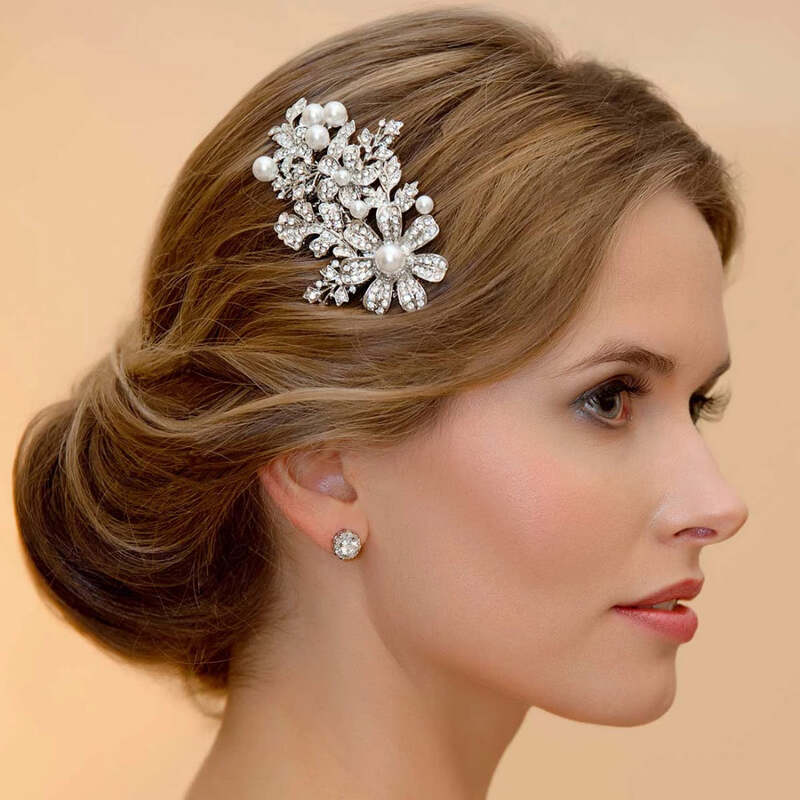 Brides who adore a timeless, classic style will fall in love with this fabulous floral comb. A pretty hair wedding accessory to enhance floral detailing on a vintage style bridal gown.